Posted: Wednesday, September 12, 2018. 9:34 am CST. 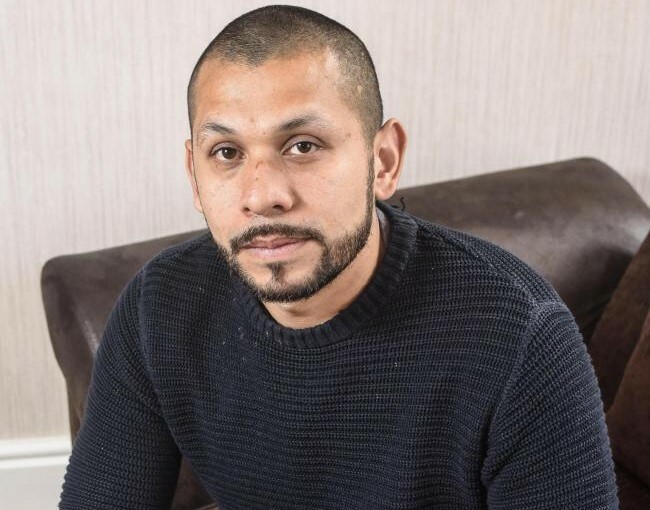 By BBN Staff: A man originally from Belize, Darren Harrety, who has spent almost his entire life in England and has his family there, is fighting to remain in the country after records offices there could not find any documentation of his legal status of that of his mother. According to British media, Harrety, 36, migrated to the UK from Punta Gorda with his mother when he was six months old. At the time they were granted indefinite leave to stay in the UK. In 2010, however, he was informed by the Home Office that he could no longer work because they could not find any proof of his legal arrival into the country. Additionally, his mother’s passport records were also lost. Since then, Harrety, a father of six, has fought to remain in the UK but has been unsuccessful with previous applications even after spending thousand of dollars to do so. Harrety has now applied for citizenship through a program called the Windrush scheme. The Windrush scheme was launched this year to help Commonwealth nationals who settled in the UK before 1973 gain citizenship legally. Harrety said this is his third attempt to remain in the UK with his family. He expects to have an answer within six months. Windrush processes applications for adults and children of the “Windrush” generation who joined their parents in the UK before they turned 18. Harrety said he is desperate for good news as he has lived in the UK since he was six months old. Harrety was raised, attended school, college, got married and had children in England. He said if the Windrush application isn’t approved he doesn’t know what he is going to do. Harrety has not possessed a passport or driver’s license but has voted, held bank accounts and bought a home in the UK. Harrety said he just wants to be able to work again and ease the burden from his wife, who has worked hard while he has been unable to work legally. He said the six month wait will be difficult but said he will continue fighting to remain with his family.